Harvesting daylight is a popular way to save energy and promote productivity. But getting it wrong is all too easy—and can have the opposite effects. 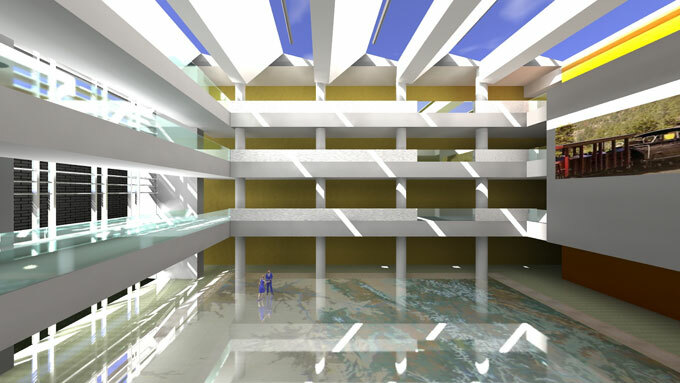 Roof monitors in the atrium of the History Colorado Center will allow expansive views of the sky while minimizing direct sunlight. The space will be protected from excessive glare and solar heat gain by architectural features, exterior shading elements, and fritted glass. We can live and work in artificially lit buildings, but that doesn’t make it a good idea. Daylight connects us with the outdoors, provides an essential nutrient, and makes our interior spaces glow with natural beauty. Exposure to bright daylight, even indoors, has been shown to relieve sleep disorders and may contribute to general health and well-being, decreasing absenteeism at both work and school. For these reasons, along with the promise of reduced demand for both artificial lighting and mechanical cooling, the art of architectural daylighting was resurrected in the 1990s after decades of disregard. Daylight has immense power that’s easy to lose control of, though. Even in some of the highest-profile green buildings designed by world-famous firms, we hear story after story of glare, overheating, loss of productivity, and the most damning of all: blinds always down and lights always on. Re-learning how to use natural light in our buildings may be more difficult than we anticipated—not only because a modern daylighting system must integrate seamlessly with electric lights and mechanical systems but also because our “desktops” are now computer screens and our classrooms and libraries are now multimedia learning spaces. Paradoxically, more efficient building envelopes may also work against the goal, trapping solar gain from daylight and increasing cooling loads. While daylighting is as old as architecture itself, we must invent new strategies to respond to these new circumstances. Fortunately, daylighting design seems to be hitting its stride. We are learning more about occupants’ needs and habits; developing more sophisticated modeling tools and getting better at employing them for truly integrated design; and finding low-cost ways to incorporate simple daylighting strategies into retrofit projects and everyday buildings.